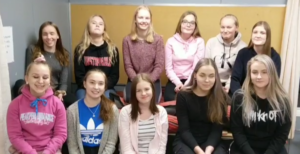 A group of young people from Finland with the help of three organisations working with the youngsters (local Leader group, local 4H association and youth sector of the municipality of Kuortane) are trying to find a partner for a youth exchange during the year 2019 (or 2020). The group would like to travel to a destination first and later (during the year 2020) they could also welcome a group to Kuortane, Finland. The participants are interested in the countries‘ cuisine and culture. Also healthy lifestyle and exercise as a part of it is important for them. Photographing is also something that they all are interested in. The theme of the youth exchange could be for example media literacy, development of critical thinking and international dialogue. They would like to get to know more about these themes with training and networking and by using their areas of interest (exercise, photographing, cooking). However, the group is flexible with the topic and other suggestions are very welcome! We can plan the program together. Deadline for this partner request: 2019-03-31, but the sooner you contact us, the better!